TGIF and welcome back to another Fine Motor Friday! 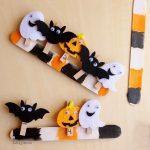 Today's Halloween activity was fun for my preschooler AND my toddler. 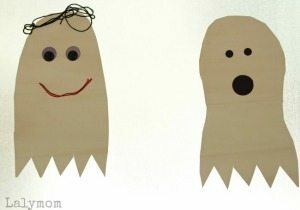 We did these fun and easy ghost crafts the other day and had a blast! Quick note: this post includes affiliate links, which means if you buy anything via those links, my site receives a tiny commission at no extra cost to you. Okay cool, let's get crafty! 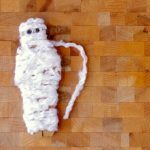 So this time we did a little Halloween Ghost Craft…or activity…or both! We worked on some scissors skills, pincer grasp and hand-eye coordination! 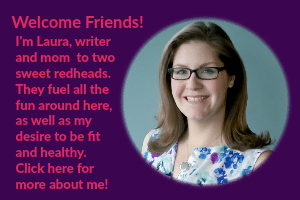 It was easy to set up, check it out! Hang the clear contact paper. 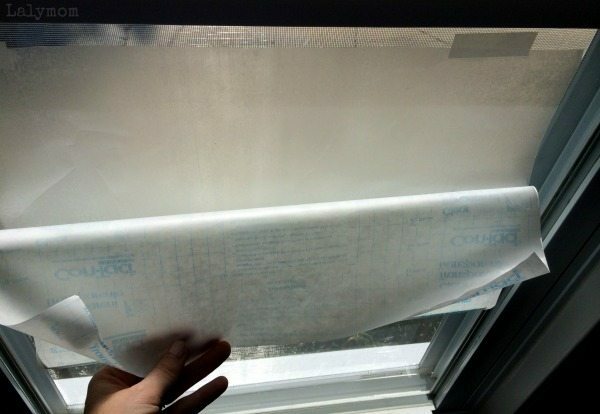 Do this by removing just the top edge of the paper backing and, stick side facing you, tape the top of the contact paper to your window. Once it is secure, remove the rest of the paper backing and tape down the bottom and sides. Prep the ghosts. 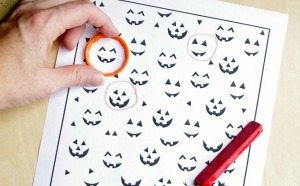 Do this by cutting out various ghost shapes from the white contact paper. 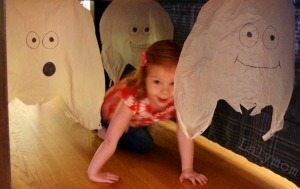 If your child is old enough he or she can cut the ghosts out, or for a true invitation to play you can set it up ahead of time and let them discover it. 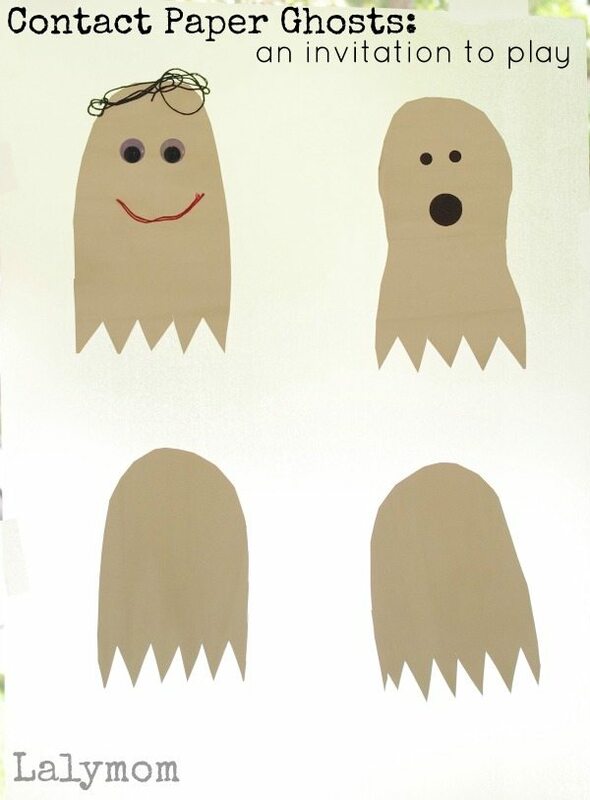 One by one, remove the paper backing and sticky side facing you, stick the ghosts onto the clear contact paper. Prep the decorations. 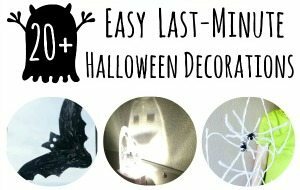 Do this by assembling any craft materials you want to use to decorate your ghosts. 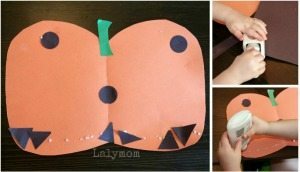 My kids like using paper punches and construction paper and my daughter loves cutting yarn and string so that is what we used. 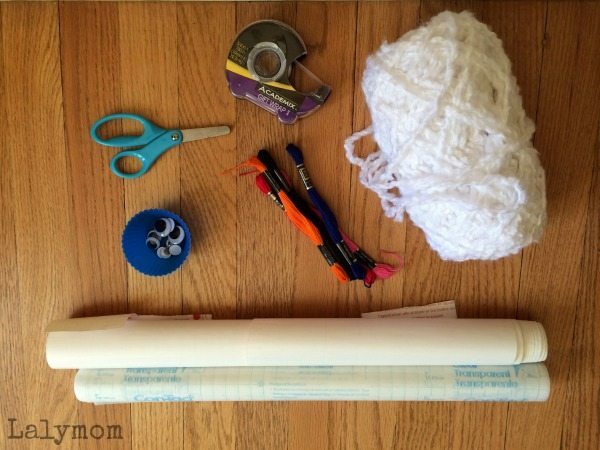 However raid your craft stash and find some fun materials! Now it's time to play! Add your various decorations. Stick, remove and start over again and again! 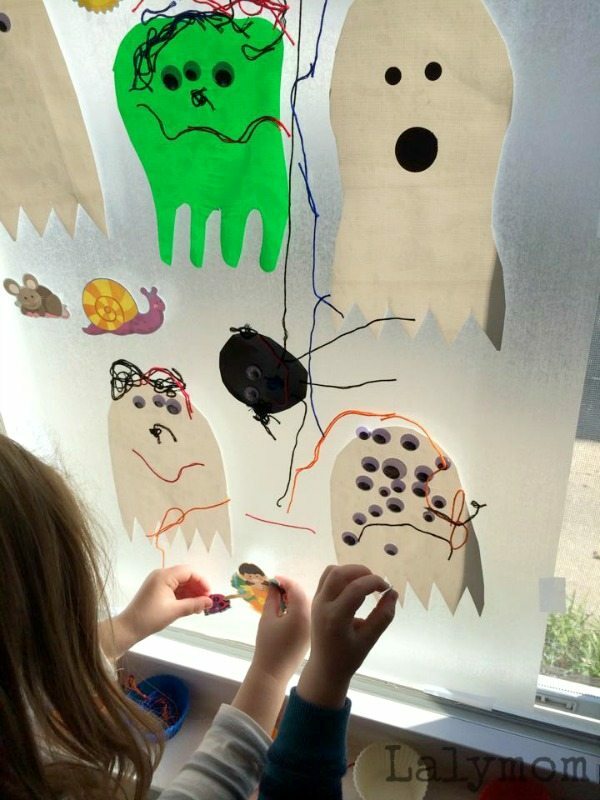 This sticking and unsticking is great work for those little fingers and having the contact paper on the vertical surface helps prepare those hands and arms for writing in a different way than on the table! Not to mention…it is just plain fun! My kids loved this SO much that we ended up adding a green monster and a black spider too! TIP: If you don't have colored contact paper like we did, you can also cut the shapes out of construction paper and tape them to the non-sticky side of the clear contact paper, which will allow the kids to stick items on the faces still! Easy peasy! 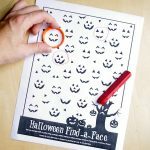 For more fun Halloween activities- many of which work on Fine Motor Skills too- check out these posts and be sure to follow my Halloween for Kids board on Pinterest! 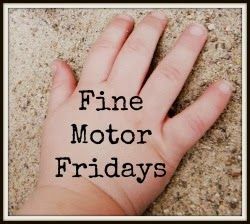 It's time once again for our weekly collaborative series Fine Motor Fridays! 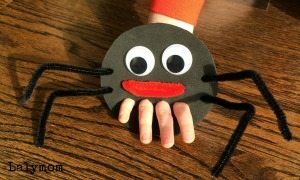 We've got a fresh batch of super playful fine motor skills activities for you so click on through below to see what the other fab FMF bloggers have been up to! My favorite part is the hair! Me too! That and the hundred googly eyes my son added! Your son has excellent taste in craft materials! Hehehe thanks! Yep, googly eyes make everything better!